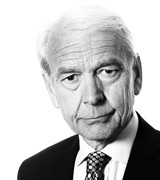 John Humphrys - Gambling: How Tough Should the Government Get? March 20, 2018, 1:47 p.m.
Addiction takes many forms. But the harm it can do is usually much the same. Whether the addiction is drink, drugs or gambling, the result is often financial ruin, ill health, the breakdown of relationships – in short, the destruction of lives. And it’s the poor and vulnerable who suffer disproportionately. Recently, a relatively new form of addiction has been causing alarm: fixed odd betting terminals (FOBTs) in high street betting shops have proved highly addictive, highly costly for punters on low incomes, and highly profitable for the bookies. Campaigners have demanded strict limits on the bets allowed but this week the Gambling Commission, the government’s statutory adviser on the industry, has proposed less strict controls. It’s now for the government to take a decision. How tough should it be? The expansion in high street betting shops goes back to 1999 when the Labour government decided that gambling should be opened up more to ordinary punters wanting to have a flutter. This liberalisation of gambling law provided opportunities for the bookmakers to innovate. One of the consequences has been FOBTs. These machines are a development of the old one-armed bandits but are much more sophisticated and allow punters to risk much bigger stakes. Most of them offer punters the opportunity to play a form of electronic roulette or black jack and what is controversial about them is that they allow players to stake up to £100 every twenty seconds. The winnings can be very large and provide an adrenalin rush that punters describe as like nothing else: FOTBs have been described as the ‘crack cocaine’ of gambling. But of course as with most gambling, especially the sort that relies on luck rather than skill and judgement, there are also losses. Indeed the profitability of these machines depends on such losses and the profits are very considerable. It’s estimated that last year FOTBs generated £1.8bn in revenue for bookmakers, amounting to half their income. In turn this provided around £500m in tax revenue for the government. Meanwhile punters lost, on average, £1,250 a year with some addicts losing many thousands more. In some cases the losses have led to suicide. The Gambling Commission estimates that 43% of people who use FOTBs are either problem gamblers or at risk of becoming so. Around two million people in Britain are problem or at-risk gamblers, with over 400,000 suffering gambling as a serious habit. And the gambling habit is now growing among children who use their smart phones to gamble. It is reckoned that around 25,000 children in Britain between the ages of eleven and sixteen are now regular gamblers. They are the future addicts of FOTBs. Last October the government announced that it planned to reduce the stake any punter could place on a FOTB at any one time to £50 but campaigners have long been arguing for a maximum of £2. So the government asked the Gambling Commission to do further research and make its own recommendations. Its brief was simply ‘to protect vulnerable people from harm’. On Monday the Commission came out with its verdict. It advised the government to impose a limit of ‘up to’ £30. Its argument was that if the government chose the much tougher limit of £2, that would be consistent with the Commission’s advice but it would not necessarily be more effective. Tim Miller, the executive director of the Commission, said: ‘For some people there is a risk that if they can bet smaller amounts they will actually spend longer playing and will engage in riskier behaviour.’ He went on to say that ‘in our judgement, a stake cut for FOBTs alone doesn’t go far enough to protect vulnerable people’ and proposed some further suggestions. These include requiring bookmakers to track customers’ habits in order to spot potential addicts; banning machines that allow punters to engage in high and low-stake gambling at the same time; and setting time or money limits which would automatically end gambling sessions. But campaigners smell a rat. They fear that the Commission’s proposed £30 maximum stake will provide cover for the government to take what they regard as the soft option in order to protect its own tax revenues and to placate the betting industry. It has been estimated that a £2 limit would cost the government £5.5bn in lost tax revenues over ten years and the industry claims that the £2 limit would cost 20,000 jobs and see betting shops closed on high streets throughout Britain. The Commission’s recommendation of a £30 maximum limit caused shares in bookmakers William Hill and Ladbrokes Coral to rise by 4% on Monday. Campaigners say that the estimates of job losses in the betting industry are exaggerated and that the argument about lost tax revenue is short-sighted. They point out that the cost to the Treasury of the effects of gambling addiction, whether it be in extra demand on the health service, the criminal justice system (police have recorded hundreds of cases of incidents of violence they attribute to the use of FOBTs) or in support of broken families far outweighs the foregone revenue. The Centre for Economic and Business Research has estimated the overall cost of problem gambling at around £1.5bn a year. But in any case, they say, it is immoral for the government to raise money on the back of the exploitation of poor and vulnerable people. The ball is now in the government’s court. How should they hit it?